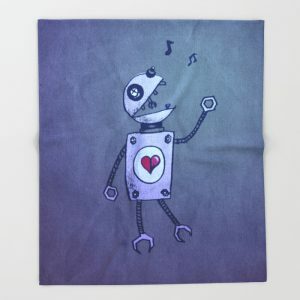 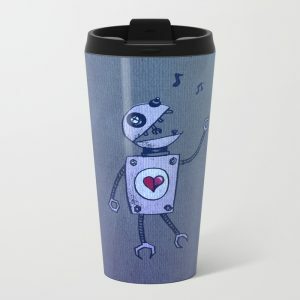 Robot character design with a fun a cartoon illustration of a happy singing robot over blue paper textured background. 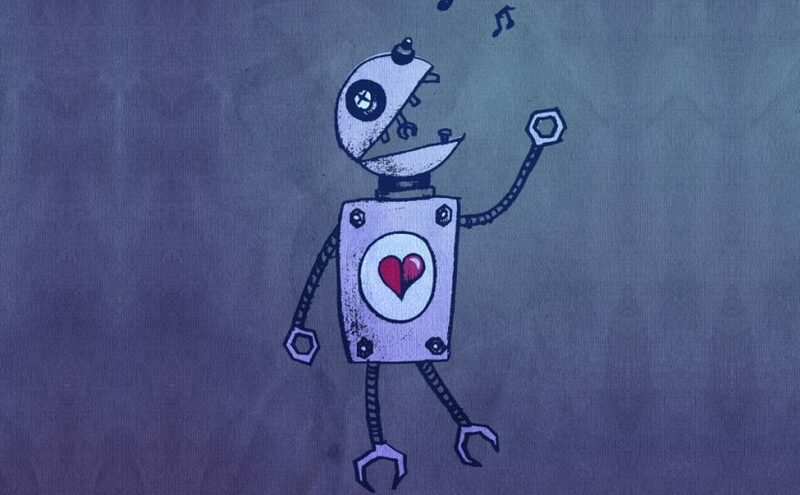 It sings about the happy days when robots will rule the universe. 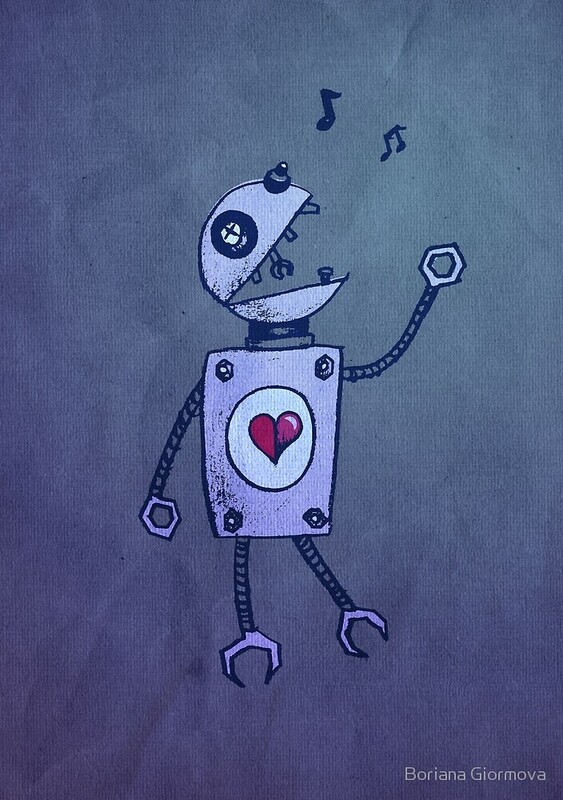 This cute machine artwork has a retro vintage look. 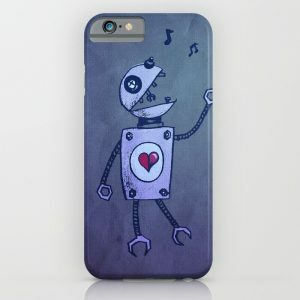 It’s geeky, rough and grungy. 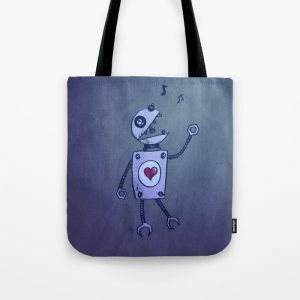 See art prints at my Redbubble and Society6 stores. 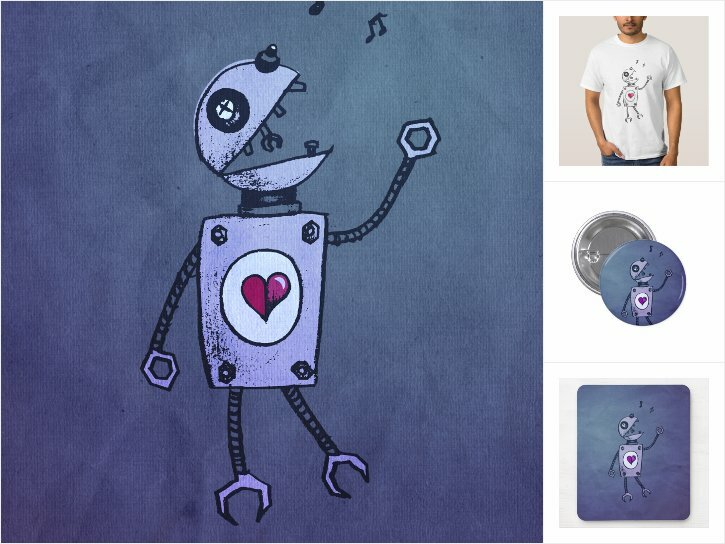 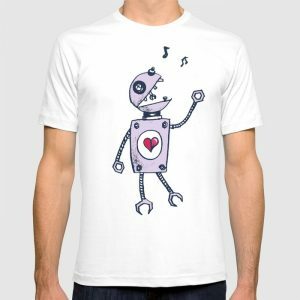 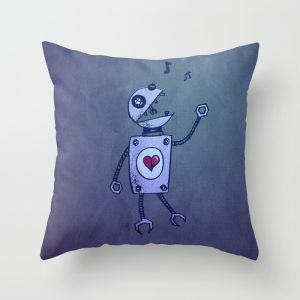 You can also buy t-shirts with this cute robot design at Design By Humans, Tostadora, Teepublic.